They’re already home to two of Europe’s most vibrant film industries. Now France and Britain are leading the way in the region in creating VR content. Between them, the two countries have eight of the 22 titles competing in the upcoming Venice Film Festival’s new virtual-reality section — the world’s first competitive VR strand at a film festival. Add in an entrant apiece from Italy and Denmark, and the number of European titles in the competition exceeds that of the U.S.
“The VR industry is booming in Europe, which is great for all of us,” said Sol Rogers, CEO and founder of Rewind, the British creator of “Ghost in the Shell VR,” with U.S. banner Here Be Dragons, and “Home: A VR Spacewalk,” which just picked up an award at Cannes Lions. A report in August identified 487 virtual-reality companies operating in Europe, up from the 300 recorded in February. But in contrast with the U.S., where virtual-reality creation is mainly being funded by deep-pocketed corporations and private investors, the VR industry in France and Britain is being driven in large part by public broadcasters, TV channels, government institutions, independent producers and tech studios. In France, where the entertainment industry is highly subsidized, the National Film Board has funneled more than €3.5 million ($4.1 million) into VR projects via two schemes: one for writing, development and production and another for technology expenses. The board backed 33 VR projects in 2016, compared with just one in 2014. Okio, one of France’s top VR companies along with Agat Films (“Notes on Blindness”) and Camera Lucida (“The Enemy”), has raised about a third of its budget from subsidies. Most of the money is allocated to development. The company premiered “I, Philip” at the Cannes Film Market and will be attending Venice to pitch its upcoming VR experience “Lights.” It is also developing a segment for an eight-part VR series commissioned by Arte. The segment’s budget is €120,000, two-thirds of which comes from Arte and the rest from government subsidies. Antoine Cayrol, producer at Okio, said that steering the subsidies into development is what makes the French virtual-reality experience so original and ultimately popular among festival programmers and platforms. “We’re able to hire skilled creatives and crews [and] spend time on the graphic bible, the script,” said Cayrol. “So when we start pitching Arte, Amazon, Oculus or Hulu, we have a well-developed proposition. “I remember someone at Oculus who once told me, ‘We get a lot of people in the U.S. who send us three pages and ask for $3 million, and in France, producers send us treatments of 25 pages and ask for $25,000,’” Cayrol quipped. A handful of pure VR players, such as HTC and Oculus, are starting to invest in content creation overseas and can help finance bigger-budget, more ambitious projects. Facebook-owned Oculus is developing projects with Agat Films and Okio. It also pre-bought Okio’s latest experience, “Alteration,” and made up a big chunk of the project’s budget, Cayrol said. The channels see their investment as a way to nurture emerging talent, attract younger audiences and boost their brands. It also equips them to compete with Hollywood and Asia. “If we don’t invest in VR today, in a few years the VR landscape will be fully dominated by American or Asian content,” said Gilles Freissinier, Arte’s head of digital. In Britain, VR players can apply for funding from government body Innovate U.K. and have access to a strong talent pool of post-production experts, FX specialists and other creatives who have flocked to London and the British entertainment industry. “There’s brilliant stuff from institutions, and from the BBC with Taster, but also a huge amount from the private sector as people work out what VR is, what the business model is and how we can make the experience different and superior to TV or standard games,” said John Cassy of VR studio Factory 42, which is developing a hologram project with Sky, London’s Natural History Museum and David Attenborough. 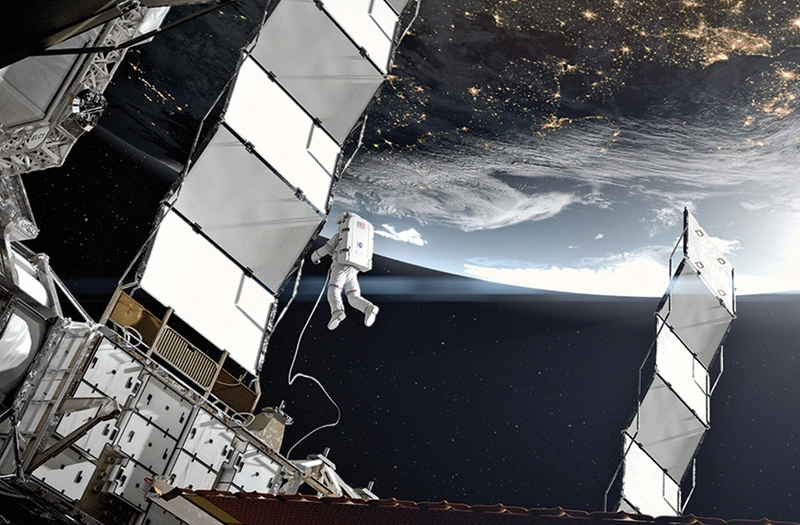 Alchemy VR is working with London’s publicly funded Science Museum on “Space Descent,” which re-creates British astronaut Tim Peake’s journey back to Earth from the International Space Station. While prospects for monetization remain limited in Europe, one emerging revenue stream is location-based VR. MK2, one of France’s biggest film companies, recently opened Europe’s largest permanent virtual-reality facility in Paris. “Location-based VR is crucial to give virtual-reality content a commercial life, create a business model and a chain of revenues for right holders, as well as initiate consumers to the technology and have them embrace it before it hits the mass market,” said Elisha Karmitz, managing director at MK2.